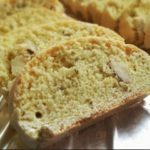 Almond and fennel biscotti: We love biscuits, cookies, biscotti. Call them what you will and from here on we will call them biscotti and our almond and fennel biscotti are the perfect snack. If you don’t yet have a cookie jar, get one! Biscotti originate from the Italian town of Prato, Tuscany and their name means ‘twice baked’. It’s the twice baking that gives biscotti its crunch. In Italy biscotti are typically served as an after-dinner dessert with a Tuscan fortified wine called vin santo. However, here at The Big Dream Factory, we’ll continue to eat them at any time of the day or night with a nice cup of tea or coffee. In a mixing bowl, add the eggs, sugar and almond extract then whip them to a creamy consistency – for 1 – 2 minutes. In another bowl, combine the the flour, salt, baking powder, almonds and fennel seeds. Add the flour mix to the whipped eggs (withhold about 1 tablespoon of the flour for the work surface). Mix to combine then pour the dough, which will be loose, onto a lightly floured surface. Form the dough into 2 logs. Handle it gently to hold its form then place it onto a shallow backing tray. Place in the centre of the oven for 25 minutes or until it has formed a crust but not browned. Remove from the oven and when the logs of biscotti are cool enough to handle, slice into biscotti. Turn the oven down to 165C/330C. Arrange the biscotti back onto the baking sheet by laying them slightly over one another. This will allow the heat under the biscotti. Place them back into the oven for just 10 minutes then turn the oven off and leave the biscotti there until the oven has cooled. Store your biscotti in an airtight container where they should keep for months! … until they are all gone. 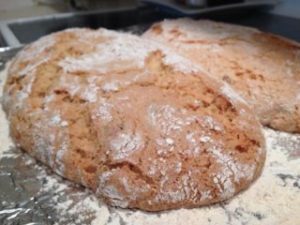 NOTE: If you are not confident about creating a loose dough, add more flour, all that will happen is that your biscotti will be more dense and you may get less biscotti as a result. 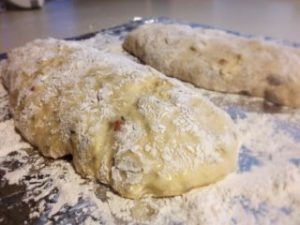 A loose dough will create a lighter but still crunchy, texture. Awwww, a blogger after my own heart. 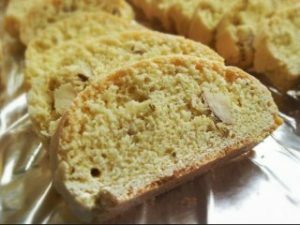 Fennel biscotti has a delicate flavor that complements any tea, coffee, or after any meal. Its light and creamy flavor is by far the most acceptable to most peoples’ palette. It is my favorite, by far. 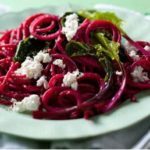 I love how this blogger has written the best recipe and provided a nice history about cookie too! Thank you and Bon Appetite! Oh shoot! I’m not on Instagram, but I’ll check you out on Facebook! A followback is always appreciated! Bon Appetite, my friend! You got it! Thank you so much, I’ve followed you on Facebook. Bon Appetite! !